Judge Lucas was an old time Georgetown resident and respected citizen who dished out a common sense style of justice. It is said that his court procedure would put Judge Roy Bean to shame, or at least relegate him to the background. His ideas were novel and original. 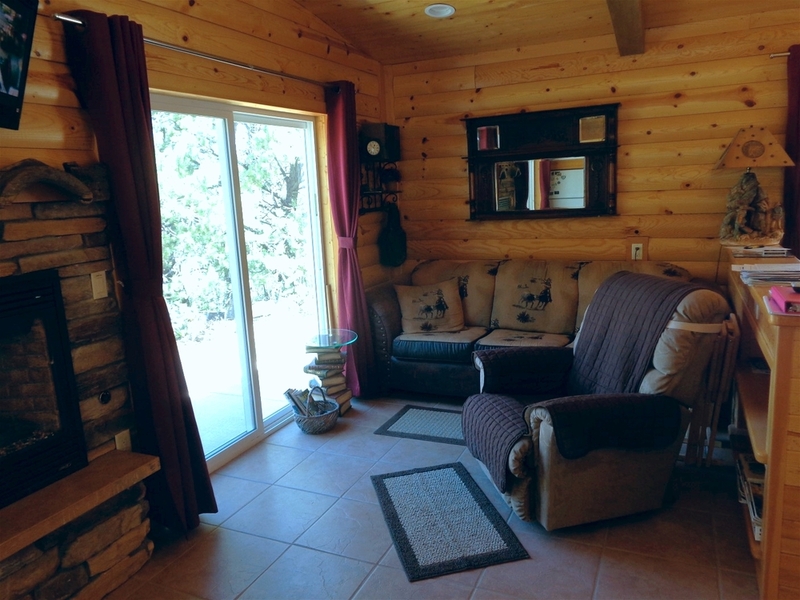 For those looking for the log cabin feeling, this is it. The Judge Lucas Cabin is tucked in the woods, off by itself, with views through the trees of the old town site. The cabin is decorated with checkered curtains & pillows, hand painted dishes, law books, sheriff's badge, authentic looking six-shooters, old miner's hat and much, much more. You’ll find a cozy outdoor patio area with a table for two, gas grill, gas fire pit, and several seating areas.